Put your keys on something with a little My Little Pony: Friendship is Magic flair! 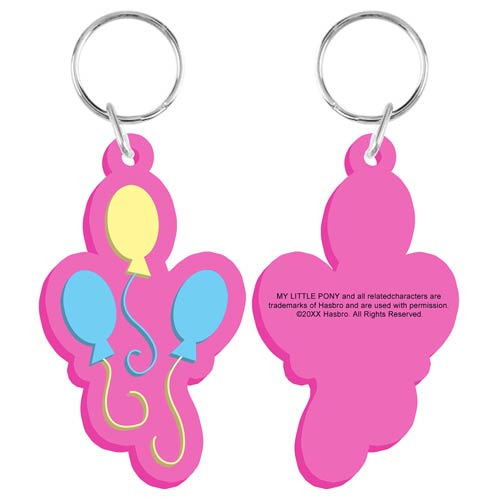 This My Little Pony Pinkie Pie Cutie Mark Key Chain features the trio of balloons that comprise Pinkie Pie's cutie mark. If you're a fan of My Little Pony: Friendship is Magic and Pinkie Pie, then this is the key chain for you!